Keep your boots looking great in the fully padded, 600-denier weather resistant Just For Kicks Boot Bag — a perfect addition to your collection of equestrian gear. Mud is no longer an issue with the most innovative and comfortable waterproof boot on the market. 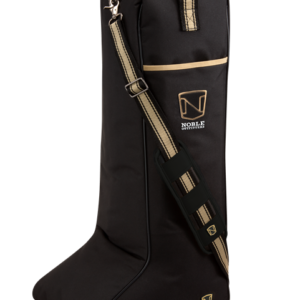 Noble MUDS® Stay Cool boots are engineered with a completely unique design, inside and out, to keep you ultra-comfortable and 100% dry and comfortable in your equestrian gear. Also now available in three quarter length- MIDS. Mud is no longer an issue with the most innovative and comfortable three quarter length waterproof boot on the market. Noble MUDS® Stay Cool boots are engineered with a completely unique design, inside and out, to keep you ultra-comfortable and 100% dry and comfortable in your equestrian gear. Also available in full length. Super comfortable zip up jodhpur boots from ELT.